I will aso post a Radeon X1950PRO AGP on Socket 754 Athlon64 3200+ later today. What is the earliest Geforce card that can go through all the tests in 3dMark01? My Geforce 2 MX skips at least the nature test so I am also interested in what exactly is missing from earlier geforce cards that makes it skip it. Baoran wrote: What is the earliest Geforce card that can go through all the tests in 3dMark01? nature requires dx8 support, and gf3 is the earliest nvidia card to support that. A result from way back, first time I passed 40k. AMD Athlon 64 FX55 @ 3,27GHz/1,87V/311MHz HTT/3x LDT, MSI K8N Neo2, 2x 256MB Corsair XMS3500 272MHz/2-2-2-5/3,7V, ATi Radeon X800 Pro @ 16 pipes 684MHz/651MHz 2,07V/2,17V (GPU is 2,03V under load, feeding whole card with 12V+). CPU cooled by Prometeia Mach II R404a, X800 Pro water cooled. Drivers: Catalyst 4.12, NVIDIA nForce 5.10, DirectX 8.1. AMD Athlon 64 3400+ @ 2,83GHz/1,95V/283MHz HTT/3x LDT, Gigabyte K8NS, 1x 512MB OCZ EB PC3200 236MHz/3-2-2-5/3,75V, ATi Radeon X800 Pro @ XT PE and default XT PE clocks. CPU cooled by Prometeia Mach II R404a, X800 Pro default cooling. That's 50% higher than my build, with a faster graphics card.. *smh* Yet the score I have looks like it's right and yours is abnormally high for an X800 Series card 30,000 with S754 - really? How? Is it the CPU overclock? I'll repeat testing with a 3700+ soon, let's see how much it improves my score..
appiah4 wrote: That's 50% higher than my build, with a faster graphics card.. *smh* Yet the score I have looks like it's right and yours is abnormally high for an X800 Series card 30,000 with S754 - really? How? Is it the CPU overclock? I'll repeat testing with a 3700+ soon, let's see how much it improves my score..
3dmark01 is very much cpu limited. Basically cpu is everything, You could probably double or more your x1950pro score by having faster cpu. I did not get a boost to anything even close to that. Not sure if something's wrong with my system or the 30,000pts referred to above has some kind of extreme overclocking in the system.. Going from 3200+ to 3700+ is going from 2Ghz to 2.2Ghz. That is only 10% speed increase. You need to go much faster. His cpu is probably 50% faster than yours. if you don't want to overclock perhaps core 2 duo motherboard that has agp slot? appiah4 wrote: Going from 3200+ to 3700+ is going from 2Ghz to 2.2Ghz. That is only 10% speed increase. You need to go much faster. His cpu is probably 50% faster than yours. if you don't want to overclock perhaps core 2 duo motherboard that has agp slot? Actually 3700+ is 2.4% so it's 20% faster but yeah, it resulted in roughly 10% higher points. But doing the math, to get 50% higher points I would need - what, a 4GHz Athlon64? I really can't understand how he got 30,000 points.. Probably the 250MHz FSB has something to do with it - that is 25% faster ram and a 25% overclocked AGP port.. I'm sure memory bandwidth plays a big part in these DDR systems. Regardless, my scores seem to be more or less in line with what people seemed to be getting at the time. but I also would say to check the driver version, it can have a significant effect on 3dmark 2001 with older cards. appiah4 wrote: Regardless, my scores seem to be more or less in line with what people seemed to be getting at the time. Consider this as competitive scores, not only did we overclock but also tweak the driver settings and other stuff. At this time we had one of the worlds best overclockers on our team, the same guy I bought all my phase change coolers from. He actually built his own cascaded phase change coolers. Something that tells alot about the cpu bottleneck is that my geforce 7800gs gets 25000 in 3dmark01se on my 2.6Ghz Athlon64 even though it is much slower card than x1950pro. Baoran wrote: Something that tells alot about the cpu bottleneck is that my geforce 7800gs gets 25000 in 3dmark01se on my 2.6Ghz Athlon64 even though it is much slower card than x1950pro. 2.6GHz is about 10% faster than what I have, and 25,000 is about 10% higher than what I get. That's probably 5% due to clockspeed and 5% due to dual channel memory (3800+ has to be S939 I presume). Yeah, with AGP you get some real bottlenecking beyond the Radeon R300 series GPUs unless you do some heavy overclocking. That said, 3DMark2001SE is a terrible gauge of game experience for anything that uses a decent amount of shaders, bottlenecking is less of an issue in games like Doom 3 and Halo:CE for example. You are right. 3dmark03 is much more gpu heavy benchmark than 3dmark01. It doesn't really matter that mine was dual core FX-60 because I tested in win98 and it ignores the second core. You could make 3dmark01 more gpu heavy if you test it with 1600x1200 and 4xAA but you couldn't compare it to others in this thread then. Not bad for a stodgy business machine eh? Windows 98 SE, Forceware 82.69 not official. Last edited by Carlos S. M. on 2019-2-24 @ 11:27, edited 1 time in total. 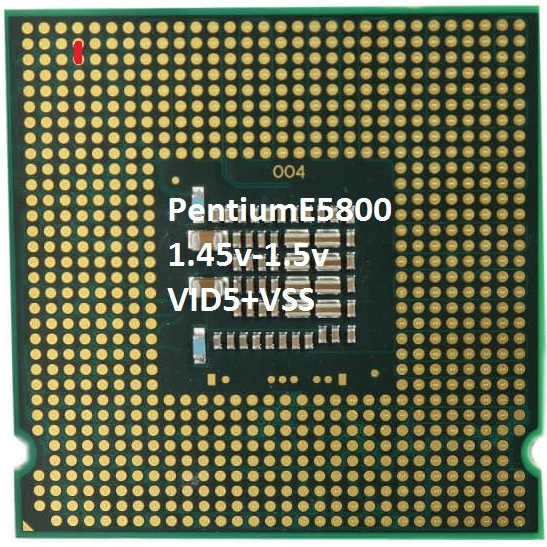 What is your biggest Pentium 4 Collection?